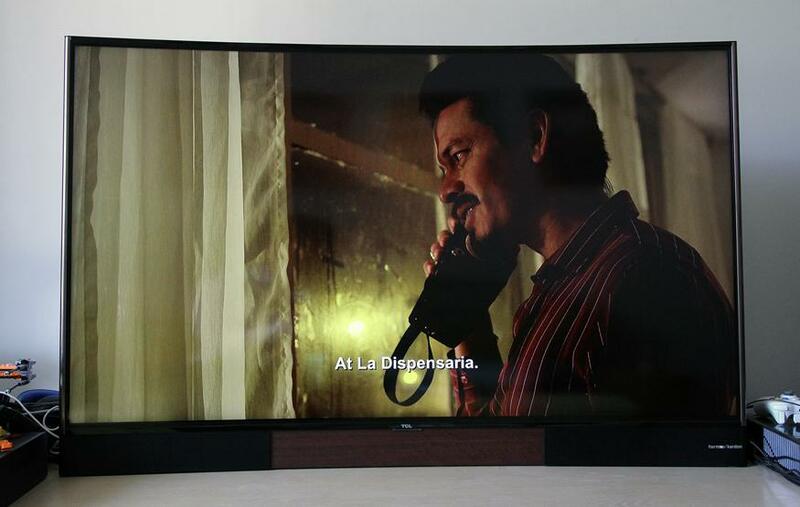 While Samsung, LG, and Sony have all made huge advancements with smart TV software thanks to Tizen, WebOS and Android TV respectively, the U55H8800CDS falls flat in this regard. The U55H8800CDS' user interface is slow, aesthetically unappealing, and short on apps. While you've got access to YouTube, Netflix is absent, as are other local streaming options. More concerning is that the TV would reset certain settings after it was turned off. This was most noticeable with the U55H8800CDS's motion smoother. As anyone who's read my TV reviews would know, the first thing I do with a new TV is turn off the motion smoother. I can't stand the effect. As such, I did the exact same thing with the TCL. Next time I turned it on, the setting was still set to "off", but motion smoothing was visibly on and affecting the picture. Toggling it on and off again resolved this, but it was something I was forced to do every time I turned the TV on. The process only took about a minute, but it got frustrating quickly. In the time I had the U55H8800CDS, no software updates were issued to the TV. I can forgive a TV for having a clunky user interface, after all you can just plug in a Chromecast, an Apple TV, or a console. It's harder to forgive buggy software that impedes the viewing experience. Retailing for under AUD$2,000, the TCL U55H8800CDS could have been a great alternative to the big names in TV; it does a lot of things well. If you can put up with a few software quirks, it's still a good TV. It's just one I'd find hard to recommend. The TCL U55H8800CDS is a case of good hardware being let down by bad software.